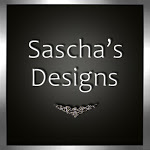 I am an official blogger for PurpleMoon, Designer Showcase, Sascha’s Designs, and Glitter, so these talented designers and showcase are often the stars of my blog. I’m also listed as a blogger in SL Designs and The Stores & Creators List. In addition, you can find me in my syndicated blogroll list.